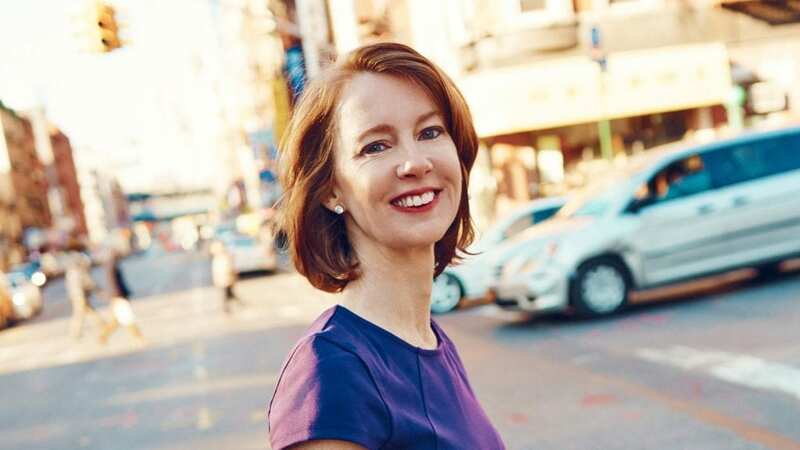 Gretchen Rubin is the author of several books, including the block-buster New York Times bestsellers, Better Than Before, The Happiness Project, Happier at Home, The Four Tendencies, and her newest book, Outer Order, Inner Calm. She has an enormous readership, both in print and online, and her books have sold more than 3.5 million copies worldwide, in more than thirty languages. She makes frequent TV appearances and is in much demand as a speaker. On her weekly podcast Happier with Gretchen Rubin, she discusses good habits and happiness with her sister Elizabeth Craft. In her books, she draws from cutting-edge science, the wisdom of the ages, lessons from popular culture, and her own experiences to explore how we can make our lives happier, healthier, more productive, and more creative. She is a longtime reader and admirer of Stoicism and writes about the Stoics frequently on her blog. In our interview with Gretchen below, she talks Stoicism, how her research on happiness informs her own habits, her top recommendations for creating a more orderly environment that promotes tranquility, and much more. Please enjoy our interview with the wonderful Gretchen Rubin! You’ve written about many of the Stoics on your blog. Do you remember how you were first introduced to them? Great question! I don’t remember. I’ve always admired that kind of writing, so I was probably fairly young. Is there one Stoic or one text that lands with you most personally? Do you have any favorite quotes or passages? None will be found willing to distribute their money to others; but among how many others do each of us distribute our lives! Men are tight-fisted in guarding their fortunes, but extravagant when it comes to wasting time—the one thing about which it is right to be greedy. It’s interesting—research today confirms Seneca’s point: even people who are quite affluent often don’t take advantage of the degree to which they can trade money for time, in ways that contribute to a happier life. You’ve been researching and writing about habits and happiness for years. What are some of the habits or activities that consistently make you happier, healthier, more productive, or more creative? For me, it’s crucial to get enough sleep. I quit eating sugar (really, almost all carbs) several years ago, and that’s a habit that makes me much happier. For my happiness, creativity, and productivity, I need to make enough time to read. Reading is my treehouse and my cubicle. Relationships are key to a happy life, so I have many habits related to deepening and broadening my ties to other people. I kiss my husband every morning and every night. I give every member of my household a warm hello and good-bye. I have a podcast with my sister, and doing Happier with Gretchen Rubin together has brought us closer. I’m a member of four book groups. I spend a lot of time with my parents and in-laws. Outer Order, Inner Calm suggests hundreds of ideas and strategies for creating a more serene, orderly environment. Which are you seeing readers finding the most benefit from and raving about? Follow the one-minute rule – anything you can do in less than one minute, do without delay. This tip is great for people who don’t have the time or energy to do a major clutter-clearing. It’s astonishing how much clearer your surroundings get if you follow it. Have a weekly power hour – keep a list of annoying tasks that are contributing to clutter. Something that can be done at any time is often done at no time; Power Hour means you have one hour each week to get those tasks accomplished. To decide what to keep, ask yourself, “Do I need it? Do I use it? Do I love it?” If not, you should get rid of it. Beware of freebies, conference swag, and hand-me-downs. We don’t need an endless supply of promotional tote bags, mugs, or journals. These things may be “free” but then they cost us time, energy, and even money when we try to relinquish them. The Stoics were often writing about finding stillness and tranquility. During the craziness of a book launch, how do you try to stay calm and sane? How do you keep your life in order when so much is being thrown at you in that window? I need a lot of silence, so I make sure that over the course of the week, I have many periods of silence (even if it may not be possible in any particular day). My mental and emotional state is very influenced by my physical state, so I pay a lot of attention to my body. I make sure to get enough sleep, and I make sure not to let myself get too hungry—I travel with a tremendous amount of snacks. I’m one of those people who is always cold, so I travel with a warm vest, a shawl, fingerless gloves, and fleece pants. It sounds ridiculous, but I really use these items. I have a rule that during work travel, I never do any work, I just read for pleasure. That makes traveling much more enjoyable. On the other hand, I try to stay current with email as much as possible. I’ve found that I’m calmer when I chip away at it regularly. If my unopened mail mounts too high, it makes me anxious. I’m not someone who wants to step away from tech. Thoreau wrote “I love a broad margin to my life,” and I agree. I make sure I’m not rushed, not running low on supplies, and am not up against any deadlines. The other thing the Stoics talk about is detaching from results or outcomes (we control the input on a given project, for example, but not how critics or the market receive it). Now that you’ve done so many books—which have sold literally millions of copies—how do you think about success with each project? For more than two years now, you’ve posted a photo on your Facebook Page every Monday morning of the books you finished during the week. What books and writers have had the biggest influence on your thinking and how you live your life? So many! Hundreds! Some of my favorites: Samuel Johnson, Virginia Woolf, George Orwell, Flannery O’Connor, St. Therese of Lisieux, Benjamin Franklin, Montaigne, Winston Churchill, Christopher Alexander, Gary Taubes, Laura Ingalls Wilder, Edward Eager, and all the super-boring legal writers who made me vow to write as clearly as possible, back during the brief period when I was working in law. Gretchen’s new book is out now! If you haven’t already, pick up a copy of Outer Order, Inner Calm. It is packed with more than one hundred concrete ideas to help create the order and organization that can make our lives happier, healthier, more productive, and more creative.